Steve Tyrell makes it nice and easy to be loved . 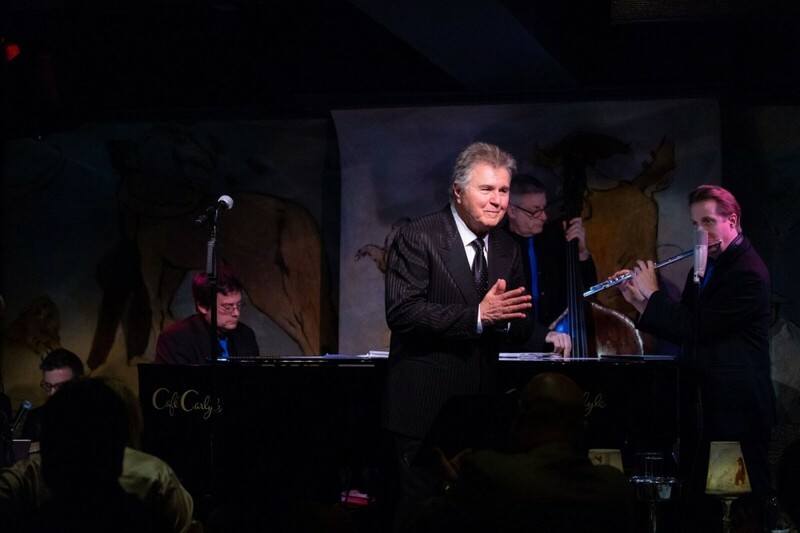 . . singing every classic that makes us swoon and lip sink words to his newly expanded Back to Bacharach album (“A Song for You”) along with all the tunes that spread the words shouting Great American Songbook! When he walks on that stage singing “I’ve Got You Under My Skin” you’re hooked! He’s got that come hither and join me in my living room approach, comfortable, taking us into his personal life of the young boy who, at age 19, made his way from Houston, Texas to New York to become one of music’s great producers, and luckiest guys in the world working with Burt Bacharach, Hal David and Dionne Warwick, and with B.J. Thomas on his Oscar winning “Raindrops Keep Falling on My Head.” His next big leap found him in Father of the Bride I and II opening new doors that launched him as a jazz singer – “Give Me the Simple Life” and continuing, waking the astronauts in space to his recording of “Sunny Side of the Street.” Luck, hard work and lots of talent!! The evening was a feel good, nothing complicated plethora of heart warming tunes including “Don’t Get Around Much Anymore,” “Fly Me to the Moon,” The Look of Love,” “Night and Day” – – – and wonderful personal stories about his buddy Frank Sinatra and, of course, Burt Bacharach. 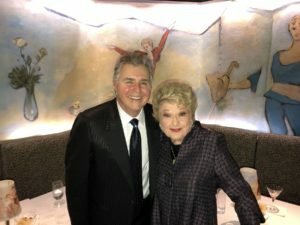 At my side was Marilyn Maye (another one of Steve’s fans) and he not only acknowledged her presence many, many times along with her iconic place as one of the great jazz singers of our time, but dedicated “I Want a Sunday Kind of Love” to her. A really special moment! Backed by his amazing band of Quinn Johnson on piano and as musical director, with David Finck on bass, Bob Mann on guitar and arranger, Kevin Winard on drums, David Mann on sax and flute and Jon Allen on keyboard and vocals, it was a win-win evening of great songs, musicians and the iconic Steve Tyrell on stage!